Two-time major winner John Daly made a mockery of his 52 years to shoot an eight under par 64 for a share of the lead after the first round of the Czech Masters on Thursday. For the American veteran, playing on a sponsors invite, it was his best round on the European Tour since the final round of the 2009 Hong Kong Open. Daly, the 1991 US PGA winner and 1995 British Open champion, shares the lead -- and the course record -- with 2015 Czech Masters champion Thomas Pieters of Belgium, England's Callum Tarren and Malaysian Gavin Green. "It's been one of those years where I've been hitting it really good, I've just been injured and having to pull out," said Daly. "I don't feel great but I got around today and I just played solid golf and it's great. It feels good. "It was just one of those days where the yardages into the greens were so perfect it made it a little easier. It was a very comfortable swinging round today and if I can do that every day, the injuries don't tend to hurt as much." 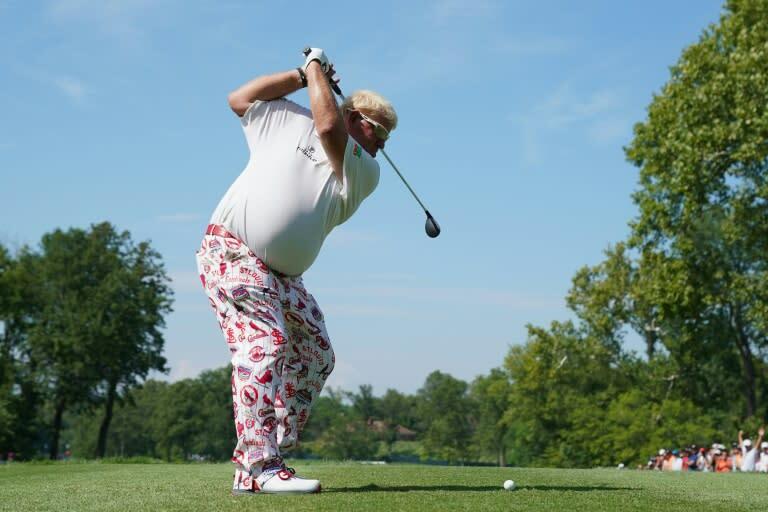 Daly, these days ranked outside the top 1,000 and who spends most of his time on the seniors tour, birdied his first three holes and added more gains at the sixth and ninth to reach the turn in 31 at the Albatross Golf Resort. And after a lengthy delay due to the threat of lightning, he then birdied the 11th and 12th before adding his final birdie of the day on the 18th.